Little Agenda fans REJOICE! We've been getting some requests from you hoping and anticipating a Little Agenda set for the holidays, it's been hard holding it in, but the wait is almost over! For this release, we bring you not one, but two Little Agenda stamps - Santas AND Reindeers! What will you use these bite-sized cuties for? We are also releasing the Straight Slider dies that were previously offered as a freebie. Priced just right, be sure to pick these up! Thanks for coming by today! Still so much to go, see you back here tomorrow! The Santas are so cute!! Santa looks so adorable and those reindeer are just too cute! These cards are sooooo cute!!!! I can hardly wait to order these on Friday!! Recently bought the Grid Window die, so I'll be ready to go! I'll make cards with these, but I'm also thinking up a game where whoever finds the most Santas or Reindeer gets a prize. Maybe the kiddos will look for Santas and the adults will look for reindeer. So many fun things to do with these! 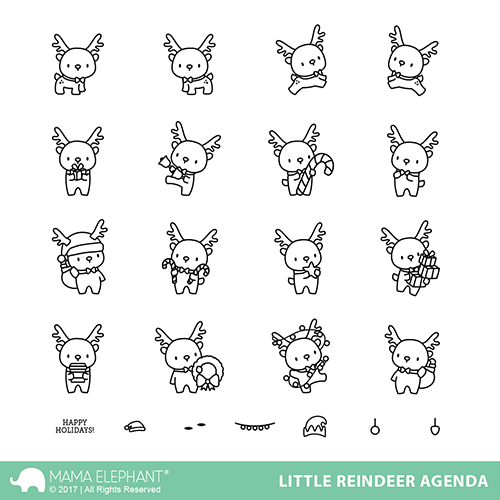 I love the little Santa and reindeer agenda stamps. You continue to amaze me with your ability to produce such adorable stamps. Even though I couldn't believe it can gets more cute, well it is !! Everyday a little more !! You're killing us !!! I love these adorable Santas and reindeer! That slider card is just the cutest! Oh my, those little reindeers and Santa stamps are super cute! 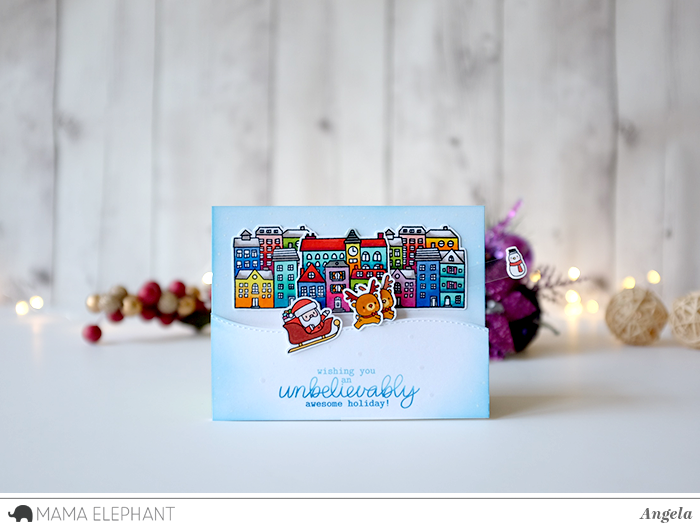 Perfect for cards and planners! 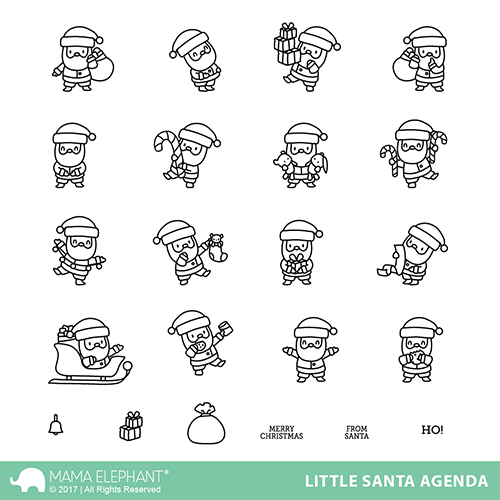 Wow that little santa agenda is so cute!